To be released on 30 September 2019. You can pre-order this product. We should be able to to ship on Friday, 27 Sep 2019. 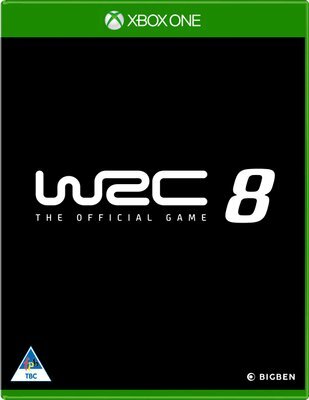 The WRC championship is the most difficult and unpredictable motorsport competition in the world. Drivers, co-drivers and technical staff have to constantly adapt to get the best from their cars and be the fastest on each surface, whatever the weather, both day and night. With the new dynamic weather system developed for WRC 8, rain, snow and hailstorms have a bigger impact, resulting in a much more true to life simulation. Road grip changes during the race, cars need to be tuned specifically for each special stage, tyre choices and stock management need to be considered, and making proper use of the weather team to get the best advice... The weather is much more than a visual effect - now it's finally coming into its own, adding a whole new dimension to the game. In solo mode take on the new challenges of a completely overhauled, more realistic career mode, designed in conjunction with WRC drivers: schedule and activity management between rallies, research and development to improve the car, recruitment and management of your staff (mechanics, engineers, medical and weather teams, financial director, communication manager, etc.). In multiplayer mode, weekly challenges and eSports WRC are back and the competition is more intense than ever. With 50 teams, 14 rallies and more than 100 special stages from the 2019 season, WRC 8 offers the most content ever in an off-road racing game. Rise to the challenge!